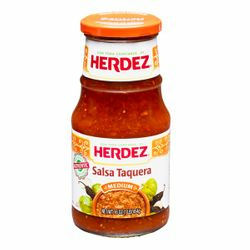 HERDEZ Salsa Taquera means Salsa for Tacos in Spanish. Made from a traditional authentic Mexican recipe; ingredients include tomatillos, onions, Morita peppers, spices and other authentic ingredients to bring out the unique ethnic flavor. La salsa Taquera Herdez es perfecta para tacos con sabor picoso, tomatillos, cebolla, chiles morita y especies. 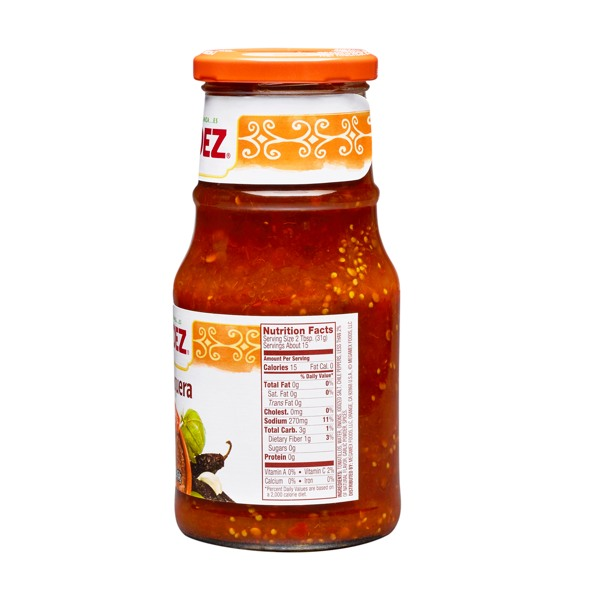 This salsa is the closest to authentic Mexican table salsa as you will find. It reminds be of a hole in the wall taco stand in Mexico. This salsa is awesome! It has a really nice smokey taste and some heat to go with it! It reminds us of the salsa served at a renowned restaurant owned by an Iron Chef in the Philadelphia area! Having a taco? This is the right sauce for it !!! Smoky and tangy. I am not a huge chipolte fan but I absolutely love this salsa. It has just the right amount of tang, kick and smoke to create a depth in flavor that lingers in your mouth. You will not be disappointed. I LOVE IT!!! I make a special trip across town b/c its hard to find in a lot of grocery stores and even then, I have to purchase a bunch of the little 7oz cans. Please don't ever stop making it. 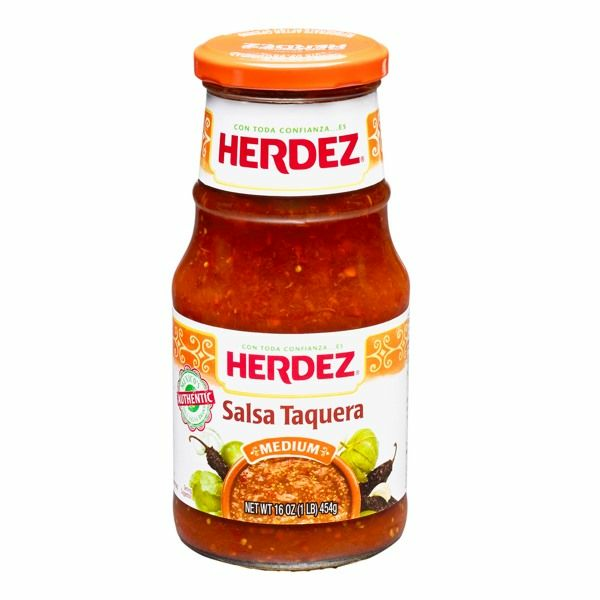 I'm a Herdez Salsa Casera addict, but I ordered a little can of this with my last order to check it out. A very pleasant surprise. The smoky flavor (chipotle?) of this stuff sets it apart. It's hot enough to get your attention on the first bite, tart, and addictive. It's thin, and it's so good, it's hard to get enough on a chip. Almost too good to be a side act. Larger sizes would be great. You have GOT to try this! Absolutely delicious! My wife brought a bottle home for me to try, and I was completely blown away as to how good it is! The smokey taste is incredible. Sooo Good! I am blown away at just delicious this salsa is!